The exhibition presents multimedia works by Michael Wolf. The exhibition features printed photographs, video loops, and objects and artifacts collected by the artist in the back alleys of Hong Kong. Behind the monumental facades of the roaring megalopolis there lies an unexpected world of daily inventions and informal solutions. From his wanderings in the back alleys of Hong Kong over the last twenty years, photographer and long-term Hong Kong resident Michael Wolf has gathered together a patchwork of disparate objects and assemblages that identify a core element of Hong Kong’s back alley street life and visual anthropology. He has used this archive to map out a subjective and sensitive image of Hong Kong identity and has documented and collected the traces of human activity and ingenuity in the midst of rapid urbanization. PR Info _ Behind the monumental facades of the roaring megalopolis there lies an unexpected world of daily inventions and informal solutions. 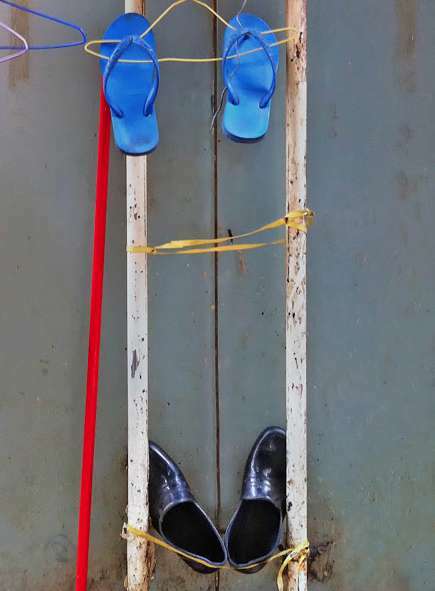 From his wanderings in the back alleys of Hong Kong over the last twenty years, photographer and long-term Hong Kong resident Michael Wolf has gathered together a patchwork of disparate objects and assemblages that identify a core element of Hong Kong’s back alley street life and visual anthropology. He has used this archive to map out a subjective and sensitive image of Hong Kong identity and has documented and collected the traces of human activity and ingenuity in the midst of rapid urbanization. 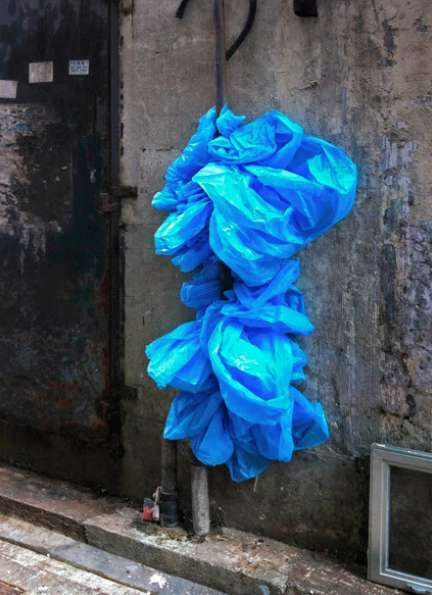 Since his arrival in Hong Kong in 1995, the artist has consistently documented the back alleys of Hong Kong almost as an urban anthropologist. Identifying the liminal space between the reality of Hong Kong’s commercial high-rises versus the survival and daily existence of ordinary citizens, Wolf’s photographs and visual artworks all speak of the human fingerprint behind the landscape and square footage of every urban alley. Over the past two decades, he has steadily documented the myriad vernacular characteristics of Hong Kong’s back alleys in a way that reveals much of the resilience and ingenuity of its residents. The cramped conditions of these alleys mean that every inch must be exploited to fulfill some function—storage, seating, a place to rest, to smoke a cigarette, to grab a few moments of rest. Over time these alleys have become full of repurposed, repaired objects that would have been discarded long before in most cities. From drying laundry to “informal seating arrangements” or plants fighting their way out of the concrete, over two decades of photographs Wolf has uncovered an extraordinarily rich, diverse and ever-changing vernacular world that reflects the many faces of the city. Today, Hong Kong’s back alleys are in danger of being wiped out in a push to clean up the city, as they do not reconcile with the image of modern and well-managed urban development.